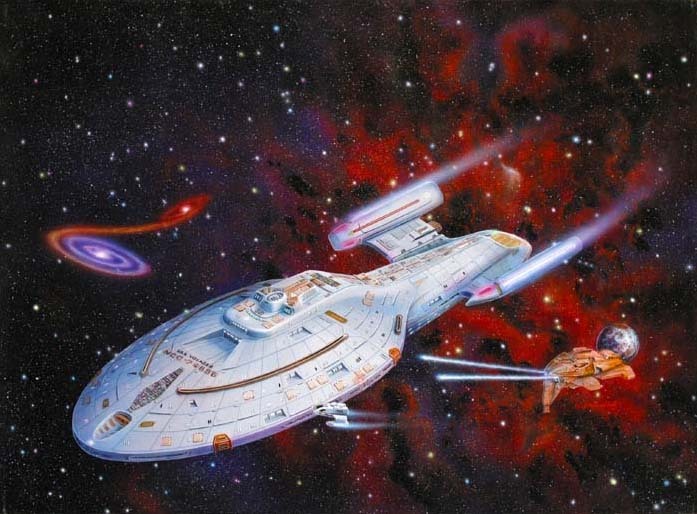 Cover for the Monogram/Revell plastic model kit of the Star Trek Voyager from the television show of that same name. I designed the red background to set off the blue/gray of the ship and to give a sense of excitement. The cover was digitally manipulated by the company to look a really ugly green. But, my motto is the client gets what the client wants.